So much yarn, so little time. : Your lupins or your life! 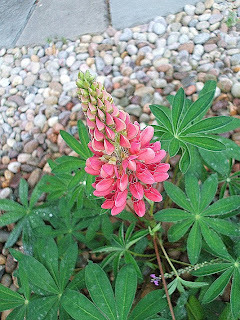 Another of my favourite flowers - and this is the first time ever that the slugs haven't munched up my lupins before I see a flower. Lupins also featured in one of my favourite Monty Python sketches. Denis Moore is a highwayman who has not quite understood his job specification. I love the "that's nothing like a Willow" part! !